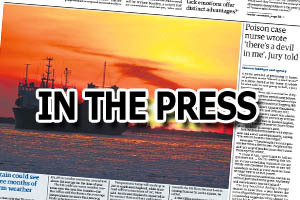 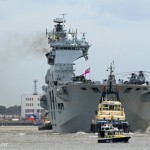 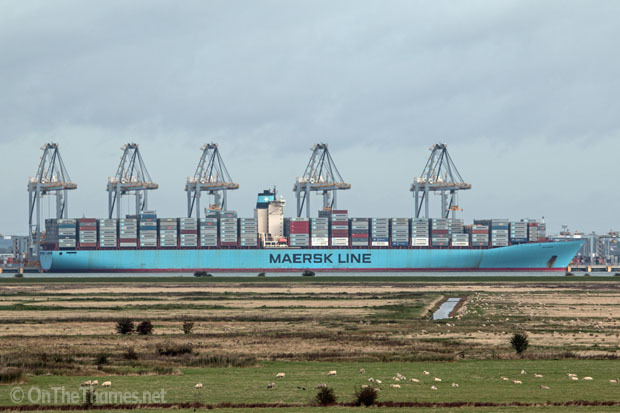 THE LARGEST ship ever on the Thames arrived shortly before sunrise this morning. 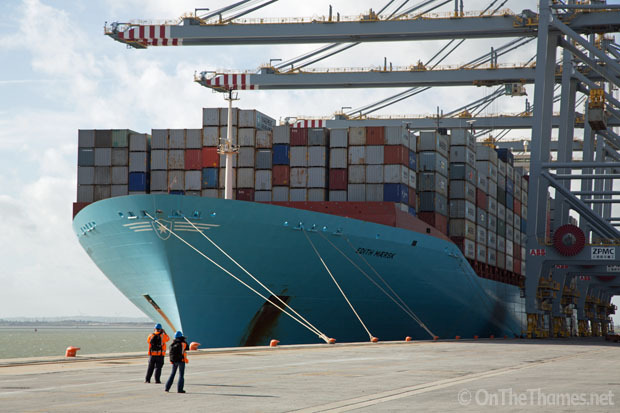 The gargantuan E-Class Edith Maersk came alongside London Gateway, assisted by three tugs. 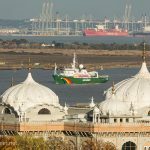 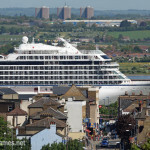 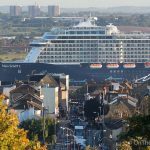 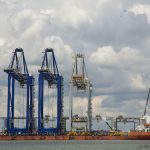 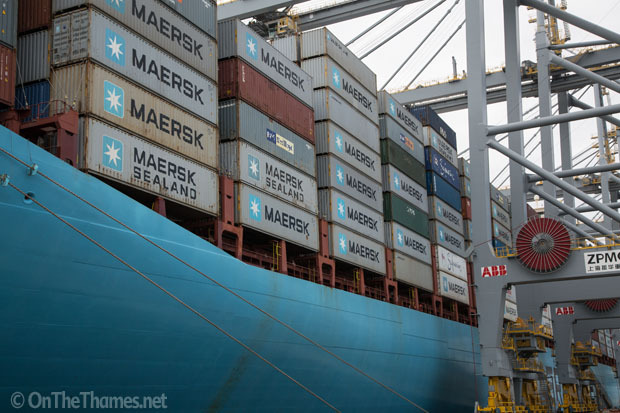 The vast ship smashes the record for the biggest ship on the Thames, measuring 397metres long - that's the length of four football pitches and is fifty percent longer than Titanic. 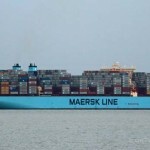 Her beam is 56 metres and she can carry over 15,000 20ft containers. 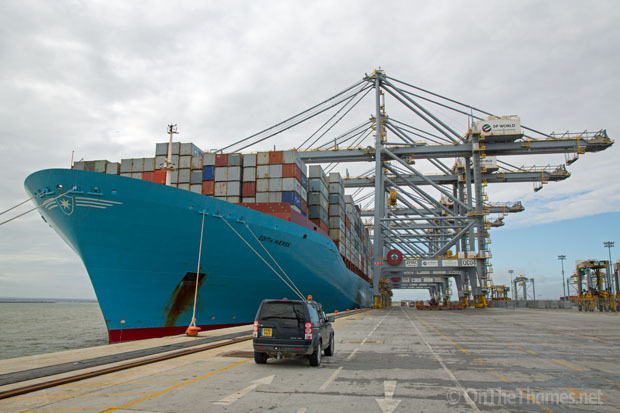 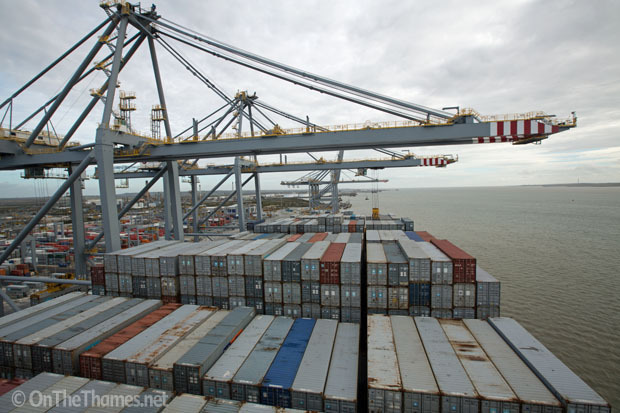 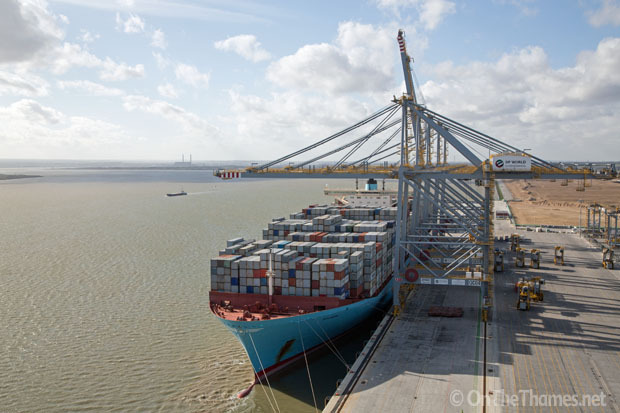 Upon arriving at London Gateway, Edith Maersk was serviced in number two berth by five of the port's cranes - the largest quay cranes in the country. 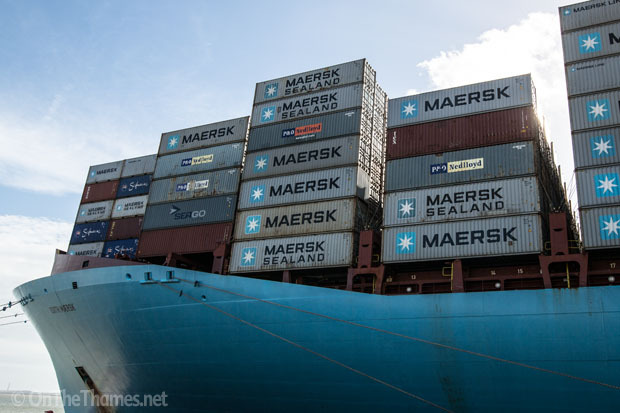 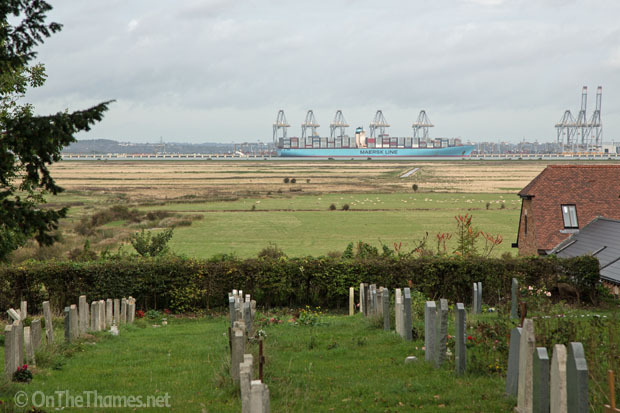 Edith Maersk is due to leave London Gateway tonight, bound for Singapore.